Can you believe what’s happened to our country… just in the past few years? 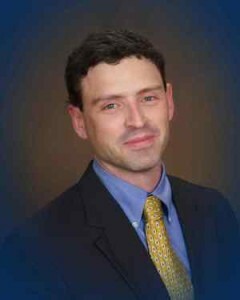 Then, one weekend in mid-2006, I attended an economics conference that quite literally changed the course of my life. Today, I’m looking for like-minded people who are as concerned as I am, and who want to take our country back… more on that in a moment. These people are destroying our country… and they’re counting on you to foot the bill. And then you have those who say we just need to elect the next Great Leader. I believe the information I’m about to share with you could make a difference in your life for the better, and I’ll explain why in a moment. The great question which informs every political discussion today is whether the American people are capable of self-government or not. This is the great question of our day… because virtually every human achievement – whether creative, entrepreneurial, or spiritual – hinges on the answer. And whether you and I like it or not, we all have a role to play in answering the question. If the question is simply whether we have self-government in the United States, I think that’s debatable. We certainly have democracy, which seems to allow the people to vote and choose their leaders. But whether we have self-government is a separate question. Self-government requires ordinary citizens to engage in the political process in between elections. And by “engage,” I don’t mean only helping candidates get elected, calling your congressman, or attending town meetings hosted by elected officials. What I mean is working through existing political institutions to actually participate in the process of self-governance. After a lot of research and reflection, I believe participation in a political party is the most effective way to engage in self-government. Political parties were created to act as a check against those in power. But political parties cannot serve their basic function unless ordinary people participate. Look up your local party online. Find a party club and attend the meetings… (if you’re totally unfamiliar with the party system, this is a great place to start). Contact your local precinct chairman to get involved… you can even become the precinct chairman, if you so desire. Learn how to become a delegate to a local, state, or national party convention… just learning the process is a great education on how our political process actually works. Most people are not even aware that these opportunities exist. In most cases, these positions are open to just about anyone willing step up and do the work. Let’s talk about how these experiences will improve YOUR LIFE for the better. Especially if you’ve never been involved before, you’ll find any one of the above experiences eye-opening and rewarding. You’ll gain respect as an effective leader in your community. You’ll feel more connected with events that are happening around you. You’ll gain a deeper appreciation and understanding of the political process. You’ll discover first-hand how to influence issues and make your voice heard. You’ll develop lasting relationships that will improve your life outside the political arena. Once we get folks like you involved, we need to begin to restore the institutions themselves to give ordinary people a voice in the political process once again. I’m not talking about a plan to get a particular candidate elected. The approach I’ve developed, which I share with you in The United States of Dysfunction, is rooted in the history of how our political process used to work. Around a century ago, political incumbents began stripping the checks and balances out of our political process. 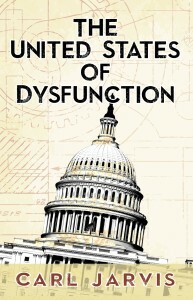 The United States of Dysfunction looks at how they did it… and the kinds of things we can do today to reverse the damage they did. On another level, the book is intended to restore people’s faith in our political institutions. I want you to know: I don’t consider myself an unqualified optimist, but I do think there are things we can do to counter the trends we see unfolding before us. The key is to get people to think of political institutions, rather than political personalities. And I believe that if we do that – even with a small group of people – we can begin to counter the underlying cause for the despair and disillusionment that prevail today. It was written to empower ordinary folks like you and I to make a difference. If it does, go HERE to get your copy. P.S. – If you click HERE , you’ll have a chance to preview the book… and if you’ve read this far, I guarantee The United States of Dysfunction speaks to your concerns and offers real solutions. Abuse of Power, Dysfunction, and Loss of Liberty... Why Is This Happening to America? (and How to Protect Yourself from It)"